After a morning of summer rain showers dampened the area’s vineyards and pastures, Quailhurst was the sunny afternoon stop on the Wilsonville Chamber of Commerce’s Oregon Horse Country tour. Representatives from the media and area travel bureaus arrived as Deborah and working student Emily Anderson trained in the outdoor dressage court. After tasting wines from Quailhurst Vineyard Estate, the group toured the stables before returning to the tent to meet a few local equine industry vendors. 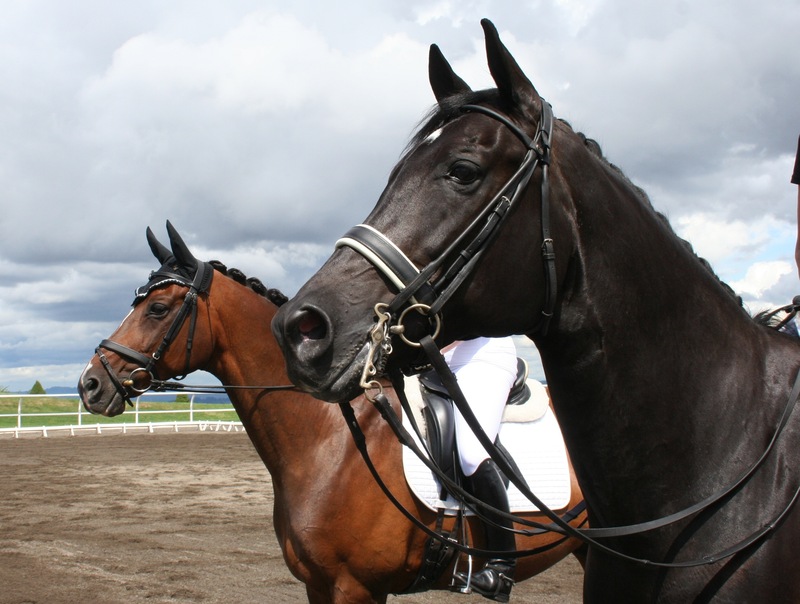 Quailhurst is very pleased to be a part of this exciting initiative to develop the Willamette Valley as an equine-tourism destination which, according to Oregon Horse Country coordinator Jennifer Johnson, is gaining rapid support and momentum. For more information about Oregon Horse Country, please contact Jennifer. 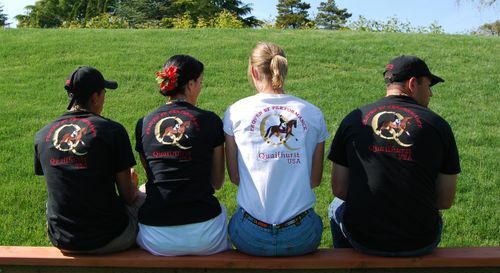 The team at Quailhurst Stables.